Héctor Tobar’s first novel casts a subtle light on the Third World terror which lies behind the faces of people on the pavements and in the parks of Los Angeles. A thin geographic filament lies between victim and death-squad member in this dazzling novel, in which the First and Third Worlds abut and invade each other. This book will establish Tobar as an important writer. In a shabby apartment in downtown L.A., Antonio Bernal is packing his worldly possessions into a Hefty trash bag. It is the final defeat in a series of blows that drove him from Guatemala after a death squad murdered his wife and child, a boy of two. Now, as Antonio sorts through his belongings, his mind is filled with memories: the floor of his home in San Cristobal Acatapan, red-black with blood; his panicked flight; his chilling glimpse of one of the killers, a compact man calmly eating a chocolate ice cream in the town square, a yellow tattoo emblazoned on his arm. In MacArthur Park, not far from Antonio’s apartment, Guillermo Longoria is playing chess. Frowning in concentration, he extends his arm tentatively toward his queen, revealing a tattoo–yellow pelt, black spots, red mouth. As Longoria considers his next move, his mind is empty of memories, especially the worst memory of all: the sound children make when they die, a terrible but necessary part of his patriotic duty as a member of the Jaguar Battalion of the Guatemalan army. The Tattooed Soldier is the story of these two haunted men and the tragic intersection of their lives. As Antonio wanders the streets of L.A. searching for shelter, he joins the community of the dispossessed, people of every circumstance opposing the tides of misfortune with scraps of cardboard and tin and friendship and humor. Who better than the homeless to understand Antonio’s loss, the destruction of all he holds dear? Who better to help him hunt the killer of his dreams? In his fiction debut, Héctor Tobar writes with a journalist’s eye and a novelist’s heart. He brings the urban landscape to gritty life on the page, and reveals the inner landscape of his characters with stunning immediacy and precision. The first novel from L.A. Times reporter Tobar is a gripping tale of revenge set on the lowest rung of L.A.’s social ladder, amidst the hardscrabble lives of illegal immigrants and the homeless. The fates of Guatemalan death-squad veteran Guillermo Longoria and traumatized, homeless refugee Antonio Bernal have been entwined since the day Longoria killed Antonio’s wife and son in Guatemala. Obsessed by memories of his family and also by the mental picture of the assassin with a yellow jaguar tattooed on his forearm, Antonio ends up as one of L.A.’s drifting dispossessed. By chance he sees Longoria in MacArthur Park and is electrified by the possibility of avenging his loved ones. Meanwhile, in alternating chapters, we meet Longoria, a peasant who was forced to join the army but eventually grew to love the power it gave him. He absorbed the twisted logic that justified the massacre of an entire village to drive out the “infection” of communism, but he too is now haunted by memories. The novel’s denouement occurs during the 1992 L.A. riots, a colossal day of reckoning when the powerless underclass of L.A. erupts in fury and when both men move toward their fates. Tobar’s prose is clear and crisp, authentically colored by the liberal use of Spanish phrases. He never sentimentalizes Antonio’s tragic story, and even the hateful Longoria is depicted with understanding of the social forces that molded him. The complexities of these two characters give this novel power and weight. Héctor Tobar’s accomplished first novel affords a perspective that is overdue and urgently needed in North American literature- -an insider’s vision of L.A. as a Third World city. The Tattooed Soldier is a riveting book that manages to be at once politically informed and at the same time a psychologically astute study of that most elemental of stories: revenge. 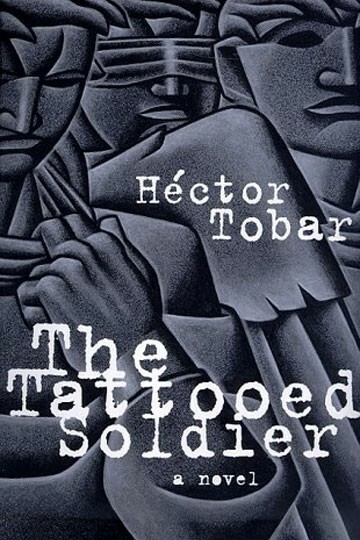 Héctor Tobar’s tensely drawn novel does what the political novel has always done at its best. It makes you look at your world with a harder, fiercer and colder eye, and ask yourself,the endless, easily shrugged off question: “What must I do? [Tobar’s] tale not only vividly reenacts the horror of death-squad victims everywhere, but also sheds an honest and even light on the stark realities facing the homeless–and many immigrants–in America. 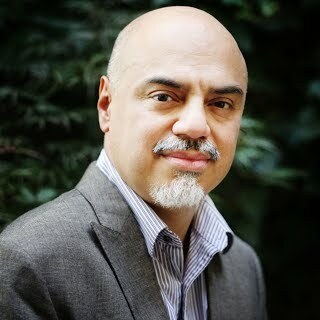 The son of Guatemalan immigrants, Héctor Tobar is a reporter for the Los Angeles Times and was part of the writing team that won a Pulitzer Prize for coverage of the 1992 riots. He is the author of Translation Nation: Defining a New American Identity in the Spanish-Speaking United States; Deep Down Dark: The Untold Stories of 33 Men Buried in a Chilean Mine, and the Miracle That Set Them Free; and the novel The Barbarian Nurseries.